The Thames has been voted the worst river in England and Wales in the Our Rivers awards 2010. 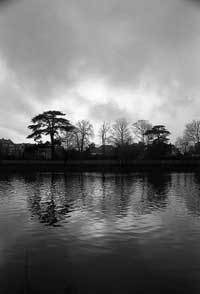 The public vote fingered pollution as the key reason but despite its muckiness many voters also said the Thames was their favourite river, leading to it achieve the apparently contradictory co-status of 'second best river in England and Wales' after the River Wye. Chief amongst the reasons for support were that it's a great place to hang out. A look at the photos from Thames Barrier to Teddington show that the best and worst mantles sit easily on both banks. They reflect litter, detritus and pollution as well as people relaxing by, playing on and enjoying the river. The River Lea trailed the Thames in the dirty stakes being named fourth worst river and and the River Wandle scored an impressive fifth best due to its profligate wildlife.